New Son Bijou Diving Center (PADI dive resort) since 1987 is family Deutch, Egyptian owned and run diving center with on-site accommodation (AC apartments in the diving center with 2 bedrooms) offering B&B, HB; spacious roof terrace with a sea view and beautiful beach across the street. 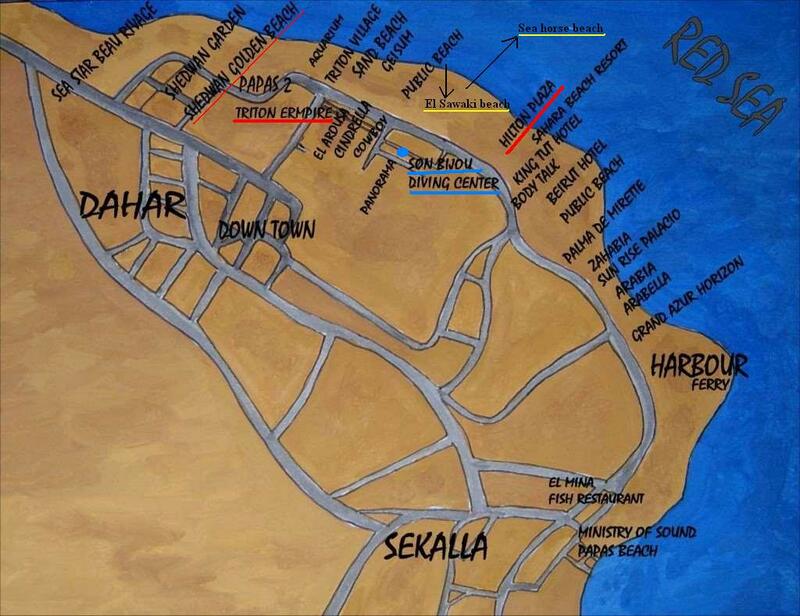 We have lived and raised our family here in Hurghada and have seen Hurghada grow up around us. This puts us in a unique position to offer well thought out and safe family holidays. We have been successful in offering very special customized Dive Snorkeling Trip Holidays, resulting in an 90% return rate! We are here for people who are looking for personalized service, individual flexible approach and for anyone NOT wanting massive holiday experience and avoid over crowded boats! We are ISO certified and licensed by the Egytian underwater sports federation and CDWS (no. RSDC 0140). Why choose to dive with New Son Bijou Diving Center? Over the last 25 years we have built excellent reputation for safe, professional diving and fun! Our daily scuba diving and snorkeling trips are suitable for families, groups, singles and couples. We distinguish ourselves by personalized service, individual flexible approach, diving in small groups, our own boat, have rich knowledge of Red Sea (diving since 1987), offer good quality / price ratio and family friendly atmosphere. We are here for anyone NOT wanting massive holiday experience and avoid over crowded boats! Our priority is always to dive safely and protect the coral reefs! We have been successful in offering very special customized Dive Holidays, resulting in an 90% return rate! As a family run business overselves, we fully appreciate the needs of families and we offer to parents and children everything they could look for in a family budget diving vacation: accommodation in the dive centre (AC apartments with 2 bedrooms) with family friendly service, great diving, lots of fun and a choice of organized activities the whole family can participate in. 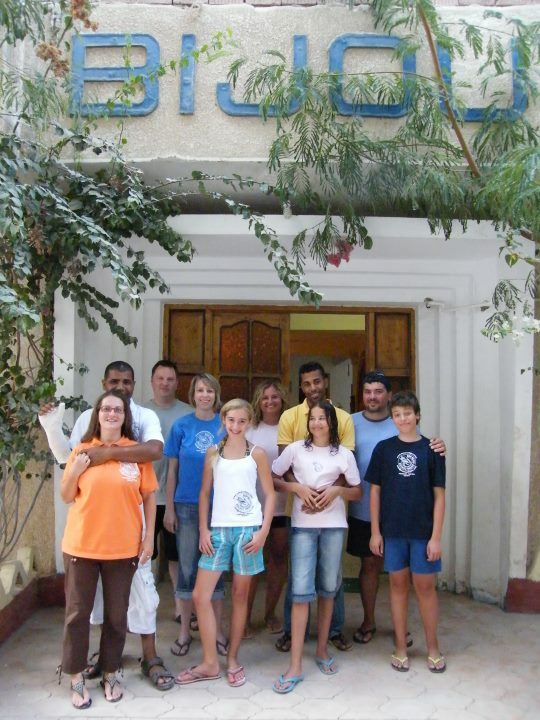 New Son Bijou Diving Center is your safe and best choice of diving school for a great diving holiday in Hurghada. Please look our Guestbook and log onto TripAdvisor for very positive reviews from our guest (TripAdvisor link: http://www.tripadvisor.com/Attraction_Review-g297549-d2180142-Reviews-New_Son_Bijou_Diving_Center-Hurghada_Red_Sea_and_Sinai.html).